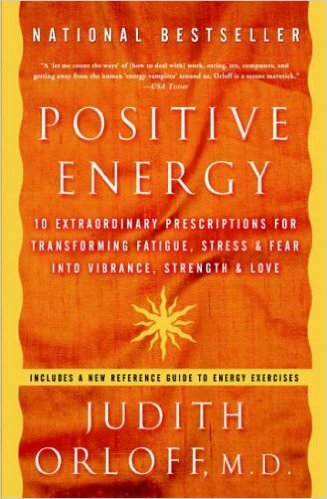 What I’m Reading: Positive Energy: 10 Extraordinary Prescriptions for Transforming Fatigue, Stress, and Fear into Vibrance, Strength & Love by Judith Orloff, M.D. Dr. Judith Orloff is a clinical psychiatrist who believes that the future of medicine involves integrating traditional medicine with intuition and energy medicine to achieve a better grasp of total wellness. She frames intuition as the language of energy – something to be trusted & valued. While certain sections were a little too new age for my own personal tastes, I took away a lot of helpful ideas. Her description of intuitive empaths and in turn, the challenges they face as a result was illuminating. Regardless of whether or not you identify yourself as an empath, her exercises for learning to center & protect yourself against energy vampires are helpful. ah thanks for the review…and i like your new banner.